CAIRO (Reuters) - An Egyptian court sentenced 75 people to death on Saturday including prominent Islamist leaders Essam al-Erian and Mohamed Beltagi over a 2013 sit-in which ended with security forces killing hundreds of protesters. The sentencing, which included jail terms for more than 600 others, concluded a mass trial of people accused of murder and inciting violence during the pro-Muslim Brotherhood protest at Rabaa Adawiya square in Cairo. The decision can be appealed within 60 days. Rabaa square was the single most deadly incident in unrest which followed the 2011 popular uprising that toppled Egypt’s longtime leader Hosni Mubarak. It occurred weeks after the military ousted Egypt’s first freely elected head of state, Islamist president Mohamed Mursi. Rights groups say more than 800 protesters died. 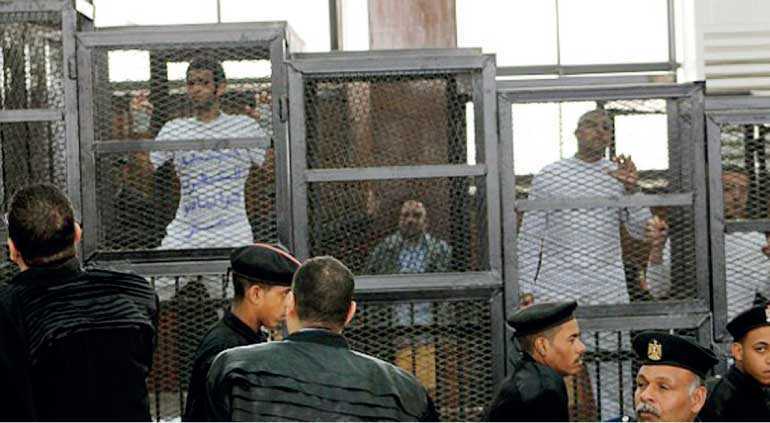 Amnesty International condemned Saturday’s decision, calling the trial “disgraceful”.